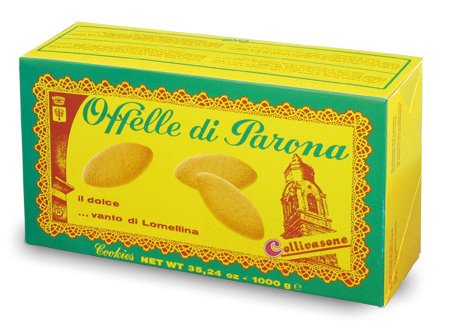 “Offelle di Parona” are delicate shortbread biscuits with a unique flavour. They were first created in the 1800s when the product, which slightly differed from the one we have today, was still home-made. Indeed, in small rural towns, bakers and housewives occasionally baked pastries and delicacies to be packed and sold during festivities. Early in the 1900s, the housewives of Parona enjoyed preparing “Offelle” for guests who visited the town to spend happy moments with relations and friends during the feast of Our Lady of the Holy Rosary, which was also the town’s feast (first Sunday of October). Despite the limited advertising media of the time, Offelle di Parona were already famous. The secret of this success lay in precisely dosed genuine ingredients and perfect baking time. The recipe has been jealously treasured by Forno F.lli Collivasone, which still produces offelle with the same genuine ingredients and the same artisanal passion. 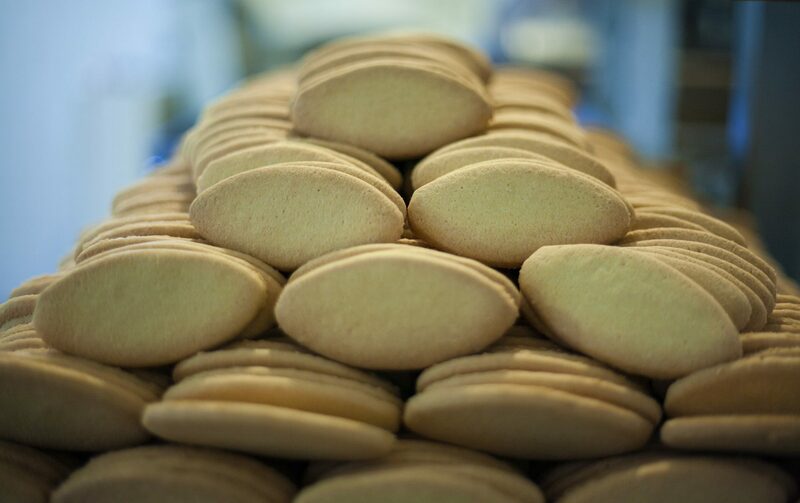 Serving tips: Offelle di Parona are delicious natural, as marketed, or served with hot chocolate, cappuccino, coffee or tea. Dip in sparkling/sweet/raisin/dry wine for a trendy dessert, or serve with delicious custard cream.